Download "What does Diesel Dual Fuel mean?" 1 What does Diesel Dual Fuel mean? Diesel Dual Fuel (DDF) refers to an engine working with diesel and gas simultaneously. A small pilot injection of diesel oil ignites the Air+Gas mixture that is electronically controlled and injected into the intake manifold phased with inlet valves timing. In a Diesel Dual Fuel (DDF) system, the engine can still run on 100% Diesel oil. DDF technology does not involve irreversible changes to the basic engine which still works just like a Diesel engine where an high percentage of cleaner fuel is burnt. 6 LEGENDA: 1 LNG Storage Tank according with EN Cryogenic Vessels. 2 9 Engine Diesel fuel standard feeding line. Liquid Natural Gas insulated pipe line. 10 Engine mechanical injection fuel pump. 3 Vaporizer for converting LNG into gaseous fuel. 11 Electro-mechanical pump actuator power control. 4 Low pressure Gaseous Natural Gas pipe line for gaseous fuel transport. 12 Engine control handle lever with position detector sensor. 5 Automatic fuel shutoff valve. 13 Boat Diesel fuel tank. 6 Pressure/overpressure regulator. Diesel Dual Fuel (DDF) dedicated Electronic Control Unit (ECU). 7 Gaseous Natural Gas rail of electronic injection valves. 14 Engine fuel control DDF drive by wire actuator control. 8 Low pressure Gaseous Natural Gas pipe line for engine connection Diesel fuel override control by DDF ECU. 17 Diesel fuel injection output controlled by DDF ECU. 18 Natural Gas injection quantity/timing controlled by DDF ECU. 7 LNG Management Liquid Natural Gas (LNG) storage and management in Dual Fuel marine application. (1-5) LNG Fuel tank generally made by: Tank for storing liquefied natural gas under cryogenic temperature and average pressure. Cryogenic natural gas pipe line to bring the LNG from inside the tank to the vaporizer. Vaporizer for converting LNG into gaseous fuel of approximately ambient temperature. All controls devices and instrumentation needed for the tank operation as well vaporizer. Security automatic shutoff valves and all active and passive safety devices to safe operate the tank. (4) A low pressure pipe line specific made for bringing gaseous natural gas form LNG tank vaporizer to the pressure/overpressure regulator. (6) A pressure/overpressure regulator to control the vaporized gaseous gas pressure on the low pressure feeding line. (4) A low pressure pipe line specific made for bringing gaseous natural gas form pressure/overpressure regulator to the rail injection valves to the engine. (7) A rail of electronic injection valves operating with gaseous natural gas. (8) A low pressure pipe line specific made for bringing gaseous natural gas from rail injection valves to the engine. 8 Diesel Management Diesel engine injection control system for Dual Fuel marine application. (12) The engine control handle lever position is detected by a position sensor. 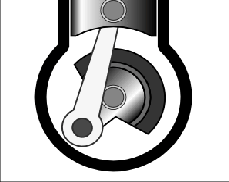 (11) An electro-mechanic actuator controls the mechanical (10) engine fuel pump. (9) The Diesel fuel quantity on engine fuel line is controlled by the (10) engine fuel pump. 9 Diesel Dual Fuel Electronic Control Unit Diesel engine and Natural Gas injection override in Dual Fuel marine application. (15) The engine control handle lever position signal is detected by the (14) Dual Fuel Control Unit. (15) The Diesel pump actuator position is controlled by the (14) Dual Fuel Control Unit according with engine control lever position and DDF override strategy. (16) Refers to point (15) the injected Diesel fuel quantity is controlled by the (14) Dual Fuel Control Unit. (17) According with points (15-16) the (14) Dual Fuel Control Unit calculate the amount of Natural Gas have to be injected into the intake manifold by the (7) electronic injection valves to keep the engine power stable. (18) The (14) Dual Fuel Control Unit controls the (5) Automatic Shutoff Valve against any misfire according with engine feedbacks. Memo WFC 423 DA. Water Fuel Injector System processes and converts water into a useful hydrogen fuel on demand at the point of gas ignition.